In the process of adding older pictures to my website galleries, there was one I wanted to add but apparently lost the print. So, today, I reprinted it. The first print I made was of the wrong negative. Duh. The second print I made was great except for one tiny dust speck. Rather than spot it, I decided to hunt down and destroy the dust particle. It turned out to be stuck on the negative and would only come off after I used a moist Q-Tip on it. I made another print and the speck was gone. Success! But, wait. It didn’t look right. Slightly crooked or something. I straightened it up and made yet another print. Still not right. WTF? I finally realized that I put the near perfectly symmetrical negative back in the carrier emulsion side up. I don’t remember ever having done that before, but the emulsion side of TMax 100 film is quite shiny, so I didn’t notice it. 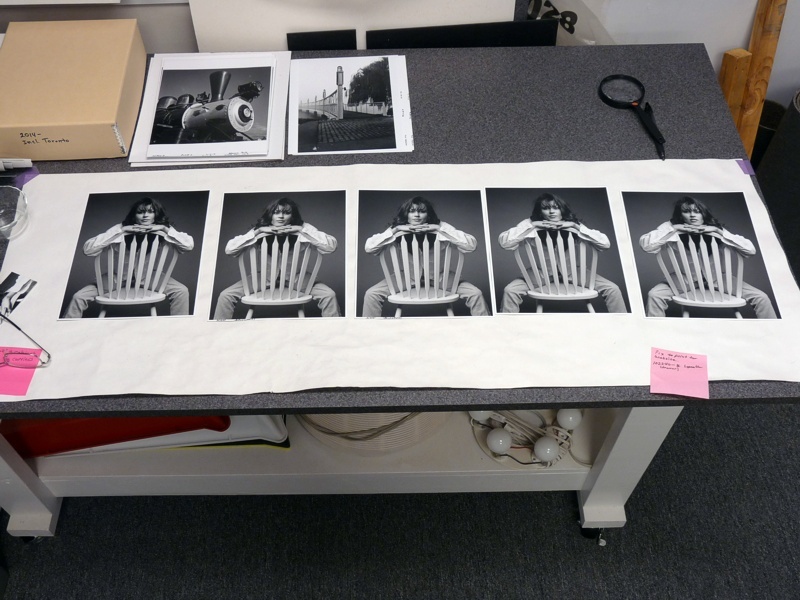 The five prints are pictured below with the first print (from the wrong negative) on the far right and the last (final) on the far left. Look closely and you’ll see that two of the five are reversed. TMax 100, 6×7 cm, RB-67 with 127mm lens, Developed in TMax RS, scan from 8×10 print on Ultrafine VC Elite RC pearl Paper. 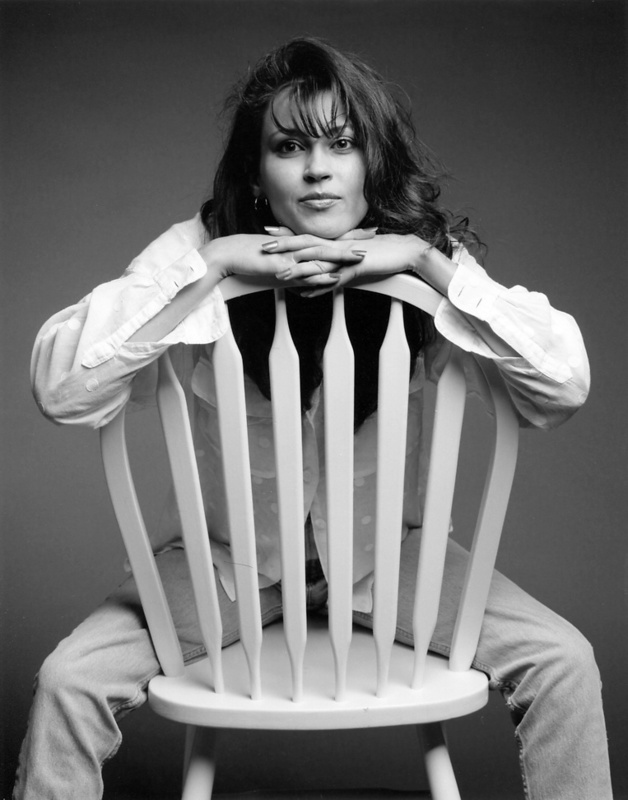 Shot in my very cramped unheated garage in December, 1998, long before I had a dedicated studio. This entry was posted in Darkroom Stories and tagged analog photography, darkroom, enlarger by Dave Krueger. Bookmark the permalink.